Senator Cordy was appointed to the Senate by the Right Honourable Jean Chrétien on June 9th, 2000. She was born in Sydney, Nova Scotia and is a graduate of the Nova Scotia Teachers College and Mount St. Vincent University. She taught elementary school for 30 years in Nova Scotia, teaching in Sydney, New Glasgow and the Halifax Regional Municipality. Senator Cordy has served as vice-chair of the Halifax-Dartmouth Port Development Commission and was also the chair of the Board of Referees for employment insurance. She also served on the Board of Phoenix House for Youth and also served as a Board Member of Mount St. Vincent University. Senator Cordy is a past president of the Nova Scotia Women’s Liberal Commission. She also served on Prime Minister Chrétien’s task force on seniors. Senator Cordy is a past chair of the Canadian NATO Parliamentary Association and served as an international vice president of the NATO Parliamentary Assembly representing North America on the executive. She is also a vice president of the Civil Dimensions of Security Committee in the Assembly. Senator Cordy continues to be involved with the NATO Parliamentary Association as well as the Canada-U.S. Parliamentary Association. Senator Cordy has a particular interest in issues related to mental health, multiple sclerosis, seniors and aging, NATO and Gender Security, education and children. 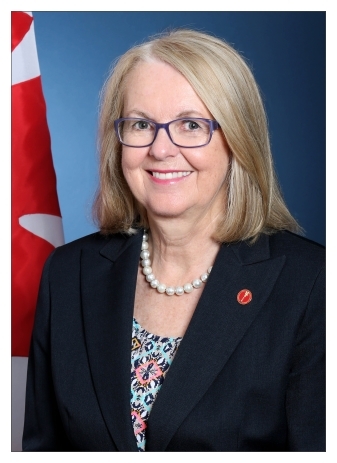 She was a member of the senate committee which published a report “Out of the Shadows at Last” a study of the issues relating to mental health, mental illness and addictions. She was also a member of the special senate committee on the implications of an aging society in Canada. Senator Cordy lives in Dartmouth, Nova Scotia with her husband Bob. They have two children, Alison and Michelle, and three grandchildren.